"The person I love most is me!" 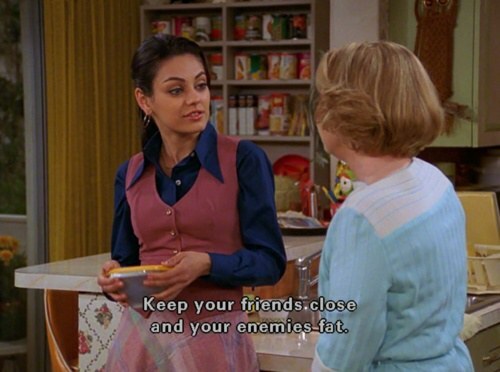 Growing up watching "That 70's Show," I always thought Jackie was conceited, annoying and bratty. Now that I'm fully grown up, I'm realizing she is the sassy, confident go-getter I strive to be every single day of my life. She isn't always the easiest pill to swallow, but she gets what she wants and knows who she is. Here's why we should all try to live like Jackie. 1. She calls people out. Never let anyone say something about you that you know isn't true. 2. She is proud of her accomplishments. No reason to be humble when her accomplishments are so dang impressive! 3. She knows her strengths. Jackie never let people underestimate her, and neither should you. 4. She also knows her worth. It's important to know what you're worth and how long it should take your exes to get over you. 5. She knows exactly how to get over someone. She wastes no time being sad. 6. She knows her priorities. She knows what she needs to spend her time out and what is a total bust. 7. 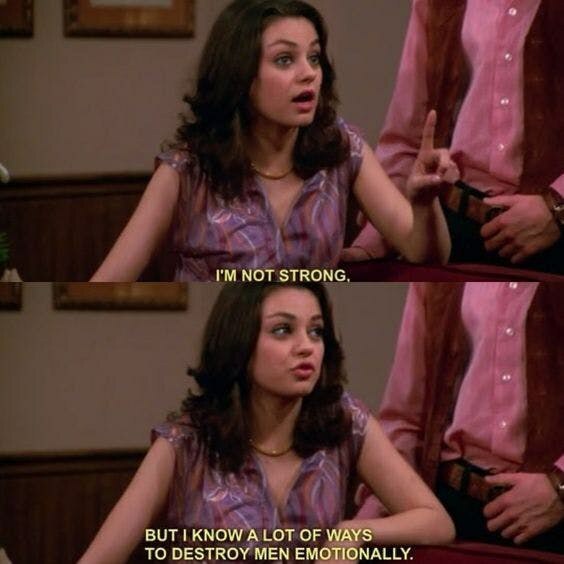 She knows what she's talking about. 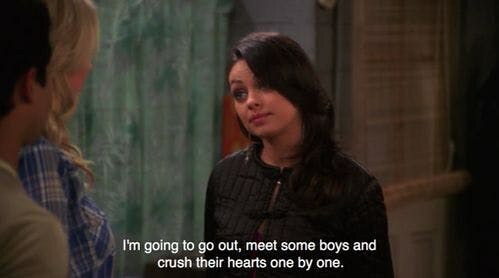 Although everyone liked to treat her like she was dumb, Jackie was always the one to come up with solutions to everyone's problems. She knew her stuff. 8. She knows who number one is. When she couldn't decide between two boys, she just decided to pick herself. A true icon of independence. 9. You wouldn't want to cross her. Although she is small, she knows exactly how to hit people where it hurts. 10. She's the queen of self-love. It may be borderline conceited, but Jackie loves herself better than any other person I can think of, real or fictional. She is confident and bold, and she knows exactly what she wants and exactly how to get it.